Redmond, Washington: My peers and I are coming of age in a world of iPods and iPhones, Facebook and Twitter, Tumblr and Pinterest. Those of us who have grown up surrounded by technology exemplify the “digital native” term. Going to Facebook when we sit down at the computer feels as natural as walking home. Many parents are concerned by our behavior in this world of social media and ever-growing global connections - they worry if we spending our time wisely on this new frontier? Dealing with digital natives requires the understanding that, to us, the internet is about more than LOL’ing; it can also be about having an impact. In the past, when students wanted to have their voices heard, they had few options. They could have written a letter to an authority, given a speech, or organised a group action, like a boycott. Today, the face of youth activism is a little different. We can amplify our voices in a matter of minutes, expressing our opinions across social media. Empowerment for youth in the digital world can mean steps forward for all of us in the real world to greater justice, equality, and social good. Large and small, my peers and I are using social media to organise communities and drive movements. In my planning for a local youth conference, TEDxRedmond, I used Facebook to promote the event, distribute important information, and recruit volunteers. Friends of mine also create Facebook events as effective ways to fundraise for charities. Not only can we organise people around action, we can gain larger audiences for our viewpoints thanks to the web. What can a young person, with opinions on problems in education, do to get their voice heard? My friend, Line Dalile, who lives in the UAE, recently wrote an opinion piece on ‘How Schools Are Killing Creativity’ for the Huffington Post. Before, young people wanting to speak up about systems that were not working, would have had to keep opinions to the limited radius of family and friends. Or rely on traditional media to get a message out. Now, the power is in our hands. The TED Talk I delivered at the age of twelve continues to have an impact and has now reached over two million views. Empowerment is not only about having a singular opinion amplified with a blog post or a video. It is also about being able to build influence in the long run with our digital footprint. This process is exemplified by the story of Tavi Gevinson. At thirteen, she did something a lot of teenagers do - start a blog, called ‘Style Rookie’. It detailed her opinions on trends in high fashion. Her fan following steadily built and she was featured in the New York Times. Today, she has started an online magazine for girls, ‘Rookie’, and will be acting in an upcoming film. All these milestones of her meteoric rise started because of those blog posts on the internet. Certainly not every teenager is like Tavi or Line, but their stories capture the power and promise of my generation - present every time we make our voices heard on the web. 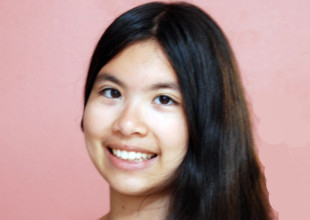 - Since the age of four, US child prodigy, author and activist, Adora Svitak, now 14, has been exploring what she can do with the written word. Everything from championing literacy and youth voices to raising awareness about world hunger. Her 2010 TED speech “What Adults Can Learn from Kids” has received over two million views. She is also one of the world’s youngest teachers. - In her next piece in the “Parenting Digital Natives” series, Adora will explore how her generation is not as innocent as parents and teachers might like to think. “My generation is growing up faster and facing larger responsibilities in a world of 21st century technology,” she said.